We would like to thank all of the teams for supporting us at our 25th annual tournament. Following two days of competition we were overwhelmed to receive so many plaudits from the teams that took part. It’s greatly satisfying for us and we share the tributes with the magnificent set of parents and helpers that enable us to stage the event. We’ve already discussed some changes for next year that we hope will make it better, and as always we welcome your thoughts and suggestions. Please feel free to leave us a comment below. 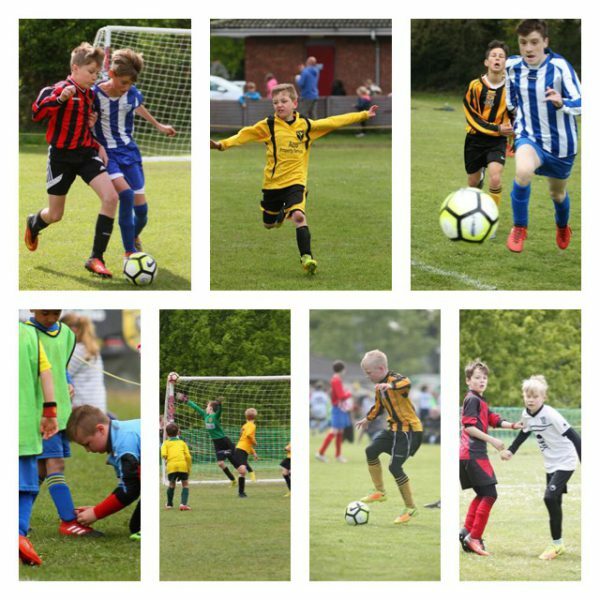 There are a number of other companies and people we must thank, starting with the Mytchett Centre for the hire of the pitches and facilities. Reade Signs for producing our tournament banners and signs. Thanks to Ivor Baker Awards for the supply of the trophies, to Woods Butchers in North Camp for the BBQ meats. DE Photo for their professional photography services. Paul Ibbotson for the PA system. IGB Print for printing our programme. All of our programme advertisers and team sponsors. Jones Entertainments for the sweets and donuts, and Gordon Marlow the Ice Cream man. We hope you can join us again in 2018. Another great tournament, well done Mytchett. See you all next year. Hook Utd Tigers. Excellent Tournament thank you to all involved on behalf of all the CPR teams. See you all next year!!!! Thanks for today from all of the AFC Reading crew. We really enjoy coming down and will be back again next year for the 3rd year running! Just a quick thank you to Mytchett FC for organising such a great tournament for the U11s yesterday, Cove Tigers. Great tournament again Mytchett. Thank you from all the Petersfield Predators U12s. #toughmatches!